Last Christmas, I made my Dad some lemmings. For his recent birthday, I made (oh no!) More Lemmings. 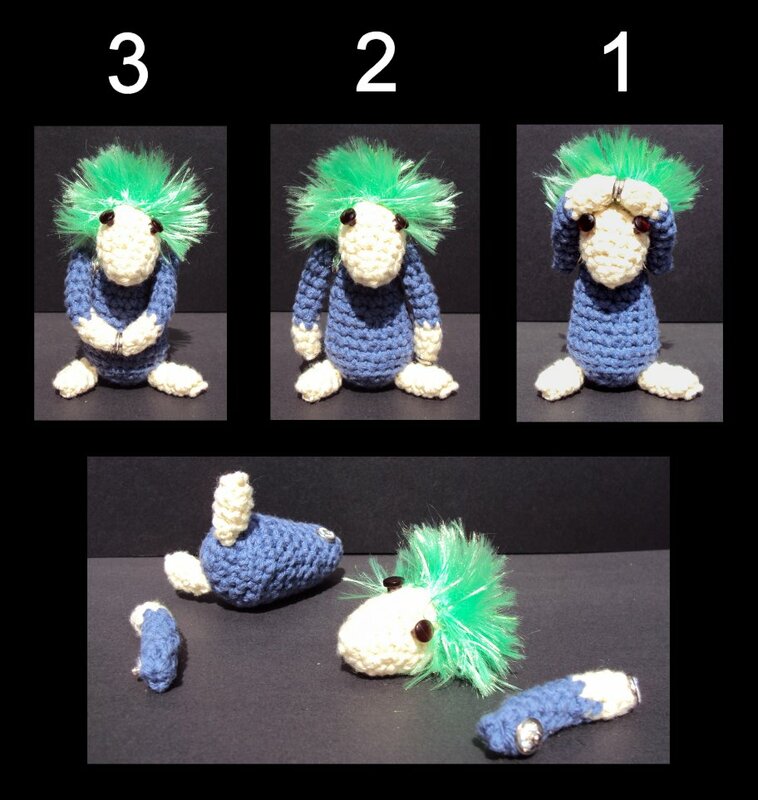 The basic pattern comes from Planet June, but both lemmings were modified to have articluated limbs. The miner’s pick is threaded through the body, so the arms are able to swing freely. The bomber’s arms (and head) are attatched with press-studs, so it’s both posable and decomposable.